A mode conditioning patch cord is a special fiber patch cable that combines multimode fiber cable and single mode fiber cable with calibration. 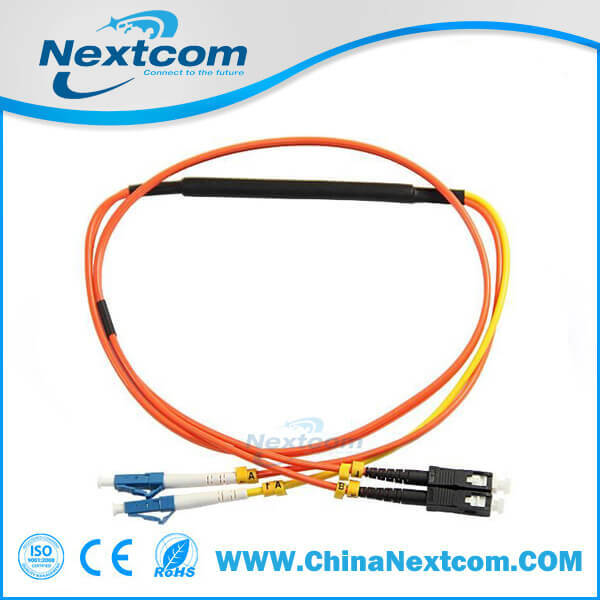 It is a duplex multimode fiber patch cord constructed with a length of single mode to multimode offset fiber connection part at the start of one of the two legs. Mode conditioning patch cables are 62.5/125µm or 50/125µm fiber cables assembled with fiber connectors on both ends, such as LC-LC, LC-SC, SC-ST, etc. Here’s a figure of a LC-SC mode conditioning patch cable..